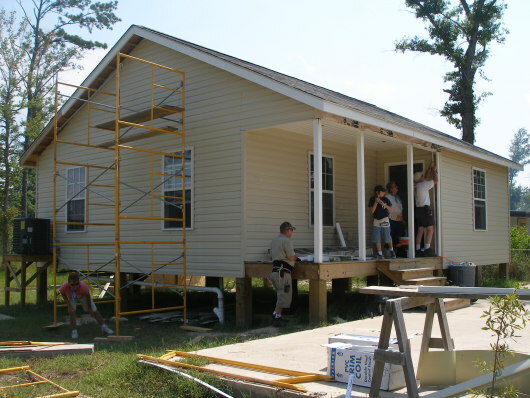 Last week a team from Alabama finished the siding on Lilly Garcia’s house. We still need to complete the bathroom by installing the water heater, setting the sink and commode, running the plumbing to the shower, and finishing the closet space. We also need to install the kitchen countertop and a few other miscellaneous things. Everyone is excited to help Mrs. Lilly move into her new home soon.